Chilltherm is the new Electrolux thermaline boiling pan, with an integral cooling system that allows to carry on the whole Cook&Chill process using only one product rather than the traditional appliances. 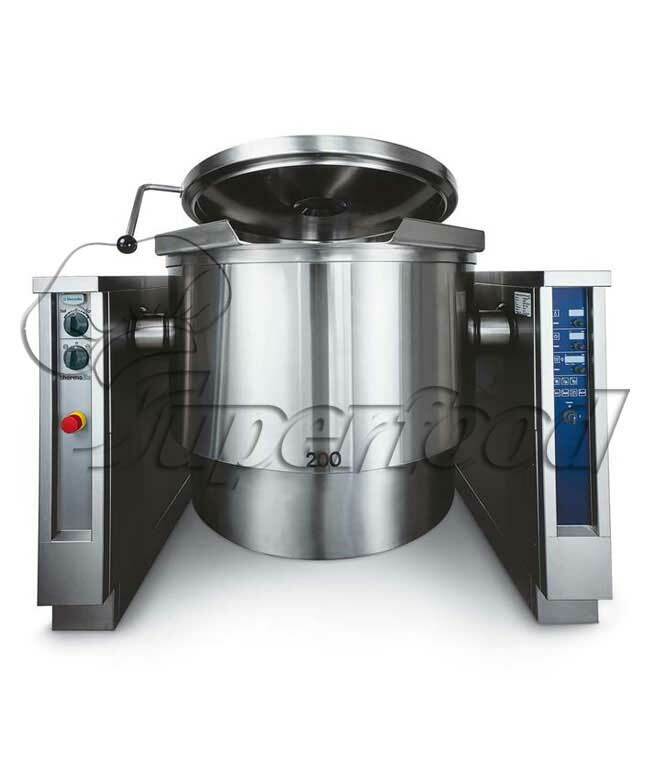 This product offer the possibility to boil, chill, store and reheat food without frequent filling and emptying operations, thanks to the capacity to chill big quantities of food. Chilltherm boiling pans allow the customer to cut investment and operating costs and to save working time. This new kind of machine integrates the Electrolux thermaline offer of boiling pans thus covering the customer need of high productivity appliances for medium to higher size installations. Electrolux Chilltherm boiling pans range consists of either stationary or tilting boiling pans, electric or steam heated. The models detailed on this sheet are steam heated with different capacities 100,150,200,300 litres.